APPLY WITH A FRIEND – AND GET FINANCIAL AID! In order to support the future of journalism education, RGNN Academy is offering Financial Aid for groups of students that apply and enroll in RGNN Academy programs. We are also offering a program for Ambassadors, with Financial Aid for former students of RGNN Academy. New students. If you enroll in an RGNN Academy program and bring a friend, you will receive 150 Euros of Financial Aid. You will receive 150 Euros of Financial Aid for every friend you bring. 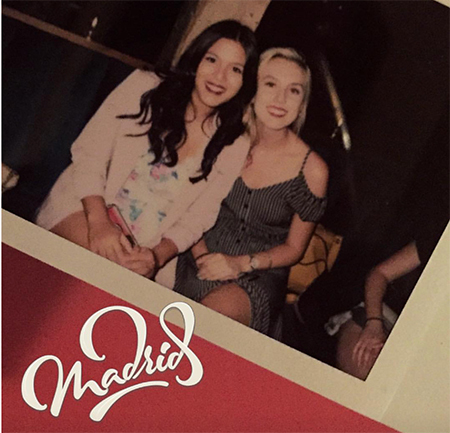 The friend(s) that you bring with you will also receive 150 Euros of Financial Aid. The Financial Aid will be deducted from your financial tuition fee payment. Former students (RGNN Academy Ambassadors). If you are a former student of RGNN Academy, you can opt to be an RGNN Academy Ambassador. If you motivate a friend to enroll at an RGNN Academy program, you will receive 150 Euros via PayPal for every friend that enrolls. The friend that enrolls will also receive 150 Euros of Financial Aid, which will be deducted from his or her final tuition fee payment. Required. A copy of your most recent tax return (yours or your parents’). Optional. If you are currently being awarded any need-based scholarships, financial aid, grants or other funding at your current university, please attach a copy of this funding source as well. Legal note. All applications for scholarships and financial aid are subject to availability and the selection process of RGNN Academy. All applications for funding options, including financial aid, must be submitted together with the application for the corresponding program, before formalizing enrollment. RGNN Academy reserves the right to modify the terms of this offer, the updated version of which will be available at https://rgnn.org/academy/financial-aid. In the case of Ambassadors, they are responsable for any fees that PayPal imposes. Need-based financial Aid is for groups of students. We also offer need-based scholarships for individual applicants, please click the button below.